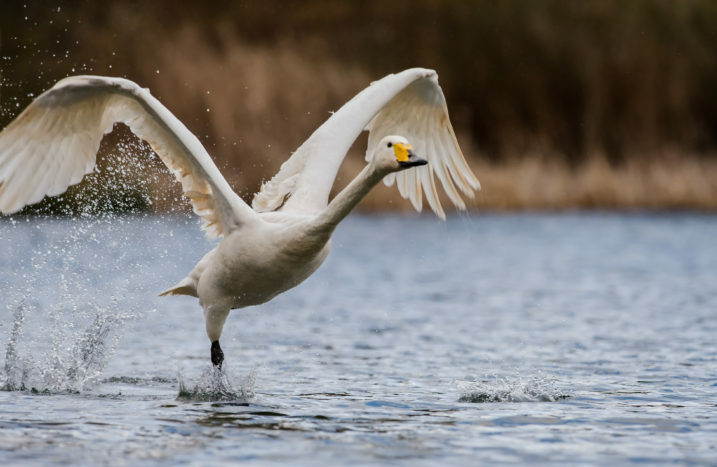 At WWT Wetland Centres this winter, discover amazing wildlife spectacles including swirling starling murmurations, the arrival of thousands of wild Bewick’s and whooper swans from Russia and Iceland and huge flocks of rare geese flying in to their over-wintering grounds. WWT centres are the ideal place to witness these breathtaking sights, with a range of comfortable, heated hides where all the action is right in front. Centres also run dawn and dusk events where visitors can marvel at the spectacle of thousands of winter birds gathering against beautiful early morning and evening skies. Another fantastic way to see the winter birds up close is to join one of the regular wild swan and geese feeds, either in daylight or dramatically floodlit at night. You can round your day off with a warming drink and delicious food in beautiful cafes with views over the reserves. Winter is a fantastic time to visit Slimbridge with up to 30,000 wild wintering ducks, geese and swans feeding and roosting on the reserve. Look out for huge flocks of wigeon, teal, lapwing and Bewick’s swans. Watch golden plover twinkling as they flock together in the sky and keep your eyes peels for the elusive bittern skulking in the reedbeds. Watch in awe as up to 2,000 whooper swans and 30,000 pink-footed geese arrive at Martin Mere from their summer breeding grounds of Iceland and discover their amazing journeys. 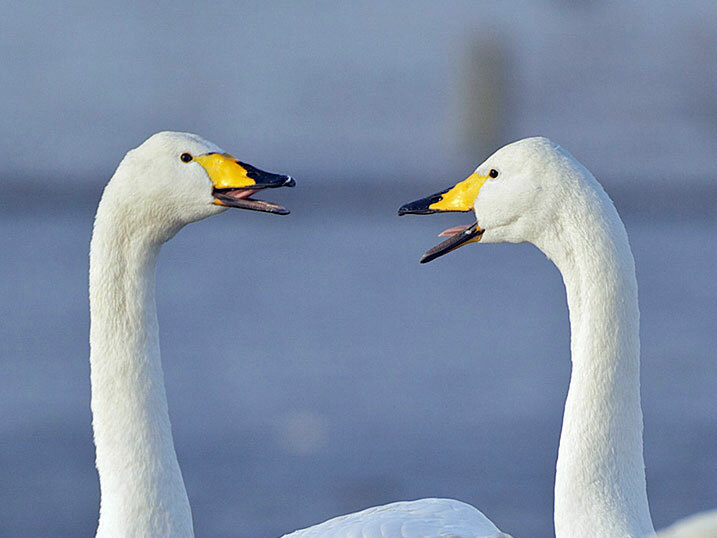 A Tale of Two Swans - Winter: Through the eyes of two of our regular Whooper swan visitors, Virginia and Sigrunn, discover why the North West is the only place that welcomes thousands of Whooper swans over winter in our series of events. 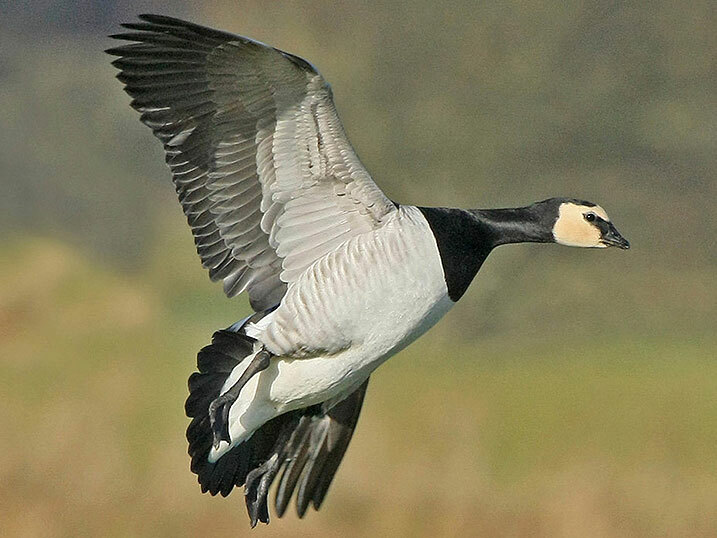 Enjoy seeing hundreds of whooper swans and thousands of barnacle geese arriving at Caerlaverock from Iceland from the heated, fully accessible Sir Peter Scott Observatory with breathtaking eye-level views of the birds flying in. Between October and March, the swans are fed in front of the observatory while the warden gives a commentary and answers questions. Wonder as 7,000 whooper swans and 2,000 Bewick's swans fly into Welney creating a breathtaking spectacle. Welney’s heated observatory is the perfect place to take it all in. 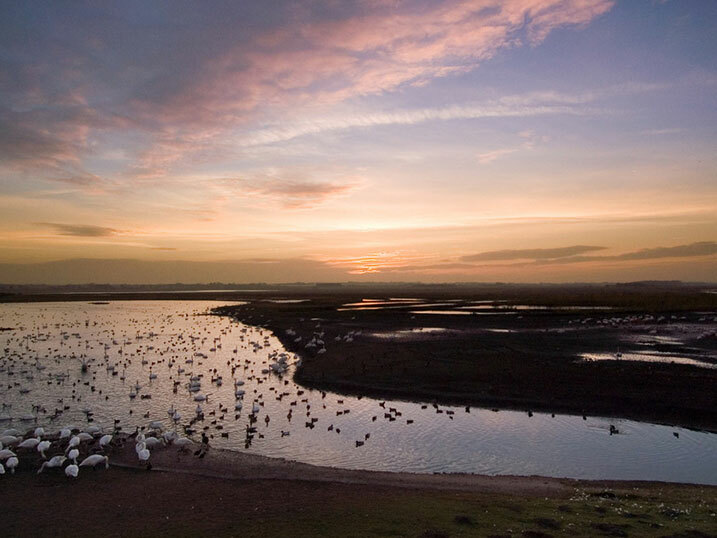 Swans Awake: watch thousands of swans take flight at sunrise in the evocative landscape of the Fens. 8, 9 December; 20 January; 16 February. 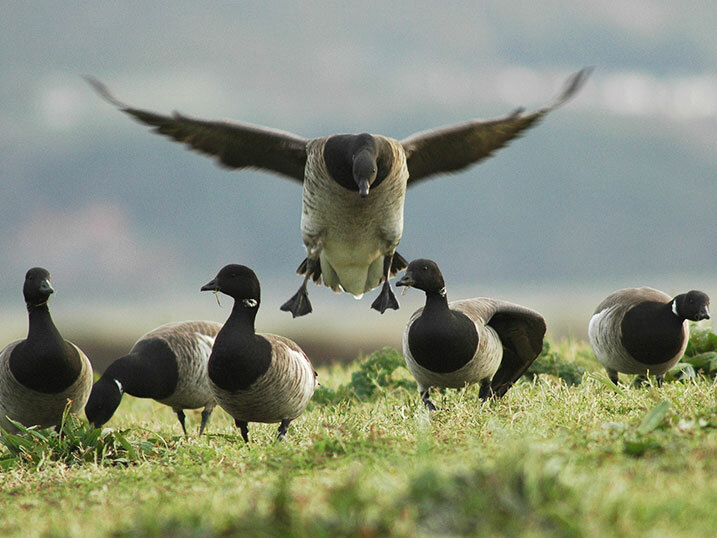 Marvel as tens of thousands of Light-bellied Brent geese arrive on Strangford Lough from their summer homes. Watch this amazing sight from beautiful viewing structures such as the Limekiln Observatory.